Berwick is a tiny village in a lovely location at the foot of the downs. 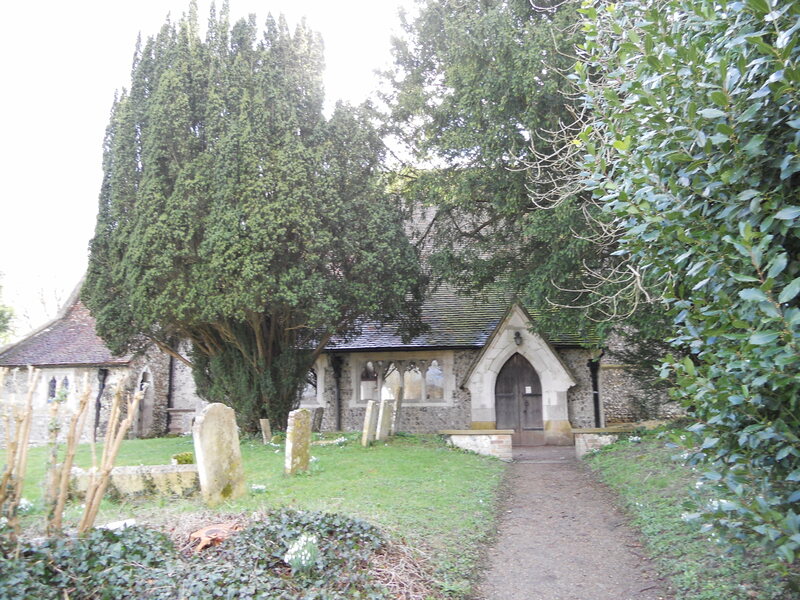 The church of St. Michael and All Angels is a real gem and worth seeking out. It is well signposted from the main road and there is plenty of parking. The exterior is unremarkable and doesn’t prepare you for what awaits inside. Again, there are some instructions about how to put on the lights – these reveal a remarkable interior. 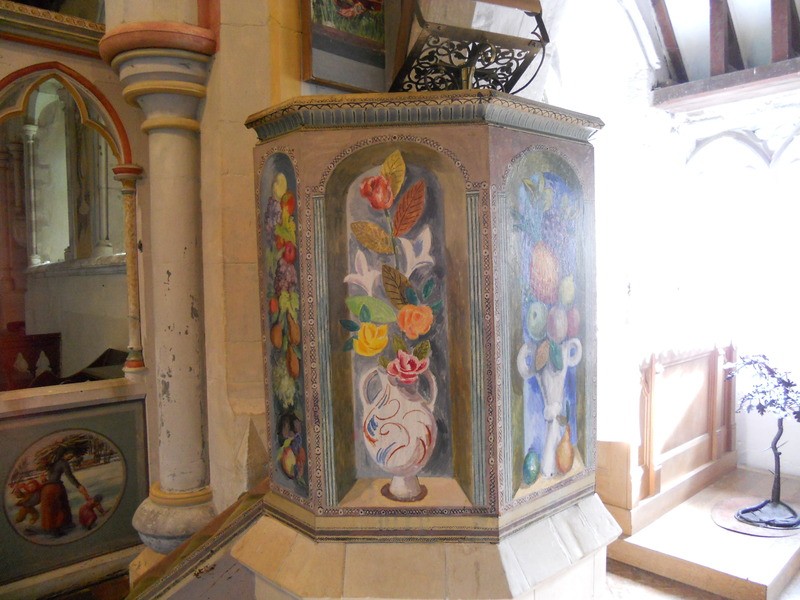 This is covered in painted murals which were painted during the second world war by the Bloomsbury artists. 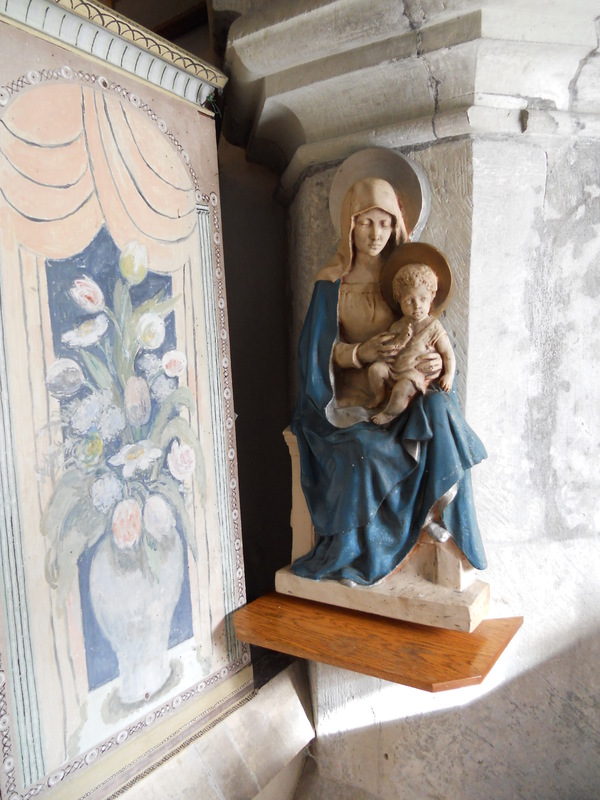 Bishop Bell of Chichester wanted to revive the tradition of wall painting and Berwick was hoped to be an experiment which would inspire others. 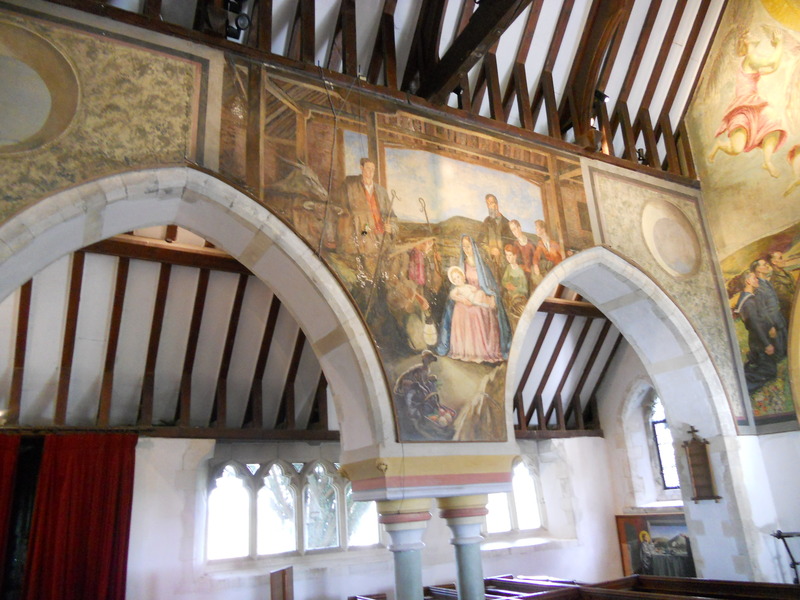 The murals depict local scenes and local people. They are very interesting. There are postcards, hand made cards and a very good guide available (at a reasonable £2 as it is in full colour). 17 people in the visitors book in February and many in the summer. 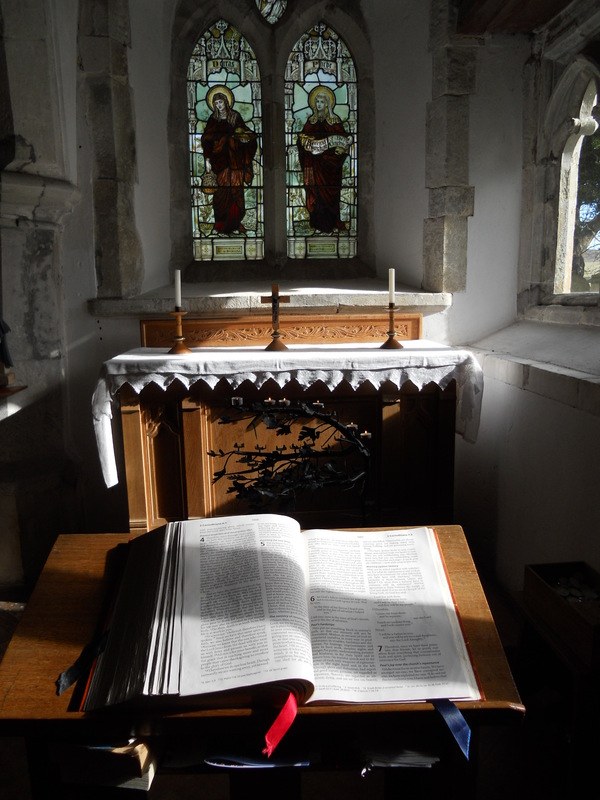 There is a prayer request book and a votive stand to use as well as an open Bible (always good to see). 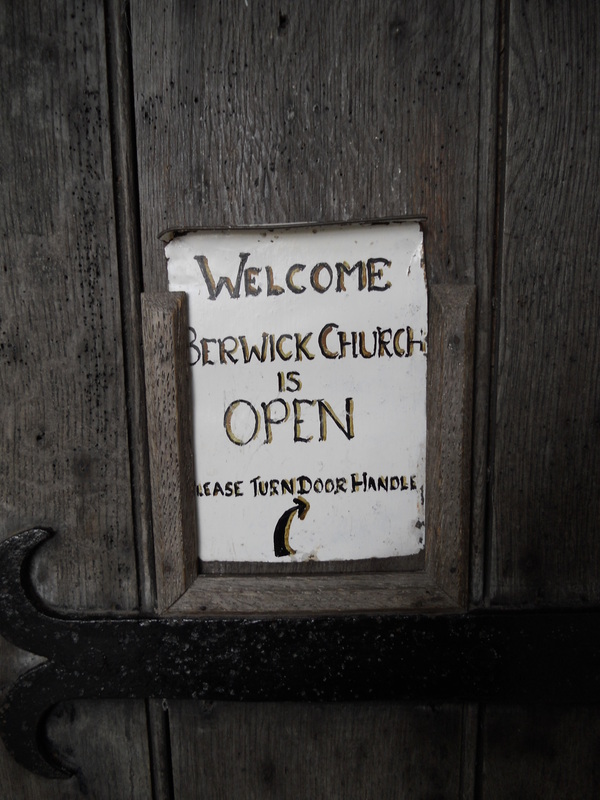 The church website is at http://www.berwickchurch.org.uk with clear visitor information and where to park. A good effort. 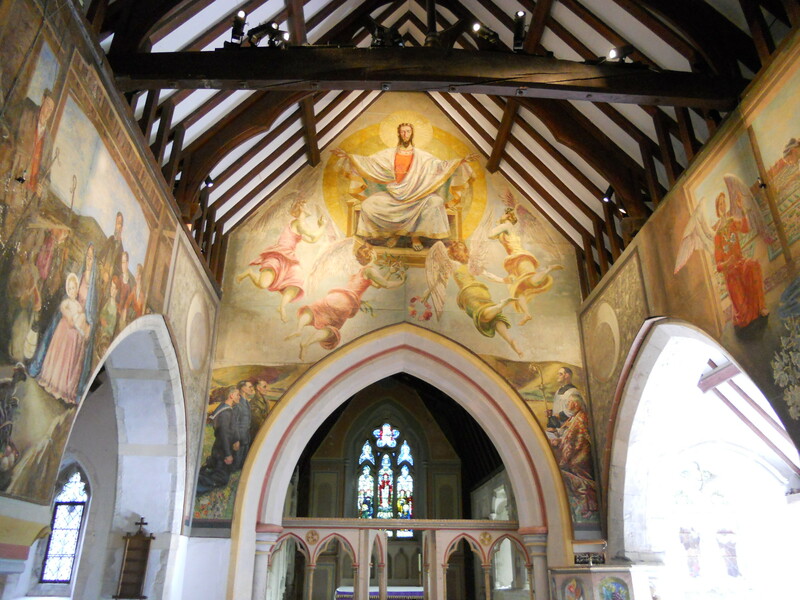 I rate St. Michael’s as very good – go an have a look you won’t be disappointed! I will leave you with some pictures of the interior.